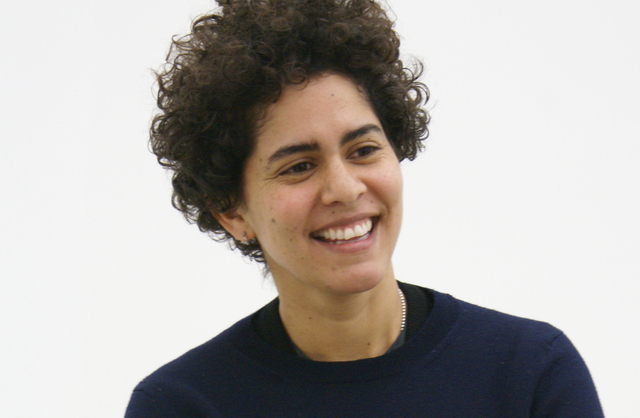 New York (TADIAS) – Julie Mehretu is one of the most celebrated contemporary artists in the United States, and one of two Ethiopian-born artists whose work is part of the permanent collection at the Museum of Modern Art. Julie, who currently lives and works in New York, has received numerous international recognitions for her work including the American Art Award from the Whitney Museum of American Art and the prestigious MacArthur Fellow award. She had residencies at the Core Program at the Museum of Fine Arts in Houston (1998–99), the Studio Museum in Harlem, New York (2001), the Walker Art Center, Minneapolis, Minnesota (2003), and the American Academy in Berlin (2007). We have updated this story and made the following correction: Mehretu is one of two Ethiopian artists whose work is part of the permanent collection at MOMA. The other artist is Skunder Boghossian. Click here to watch Video of Julie Mehretu from Art 21 Season 5 Preview.